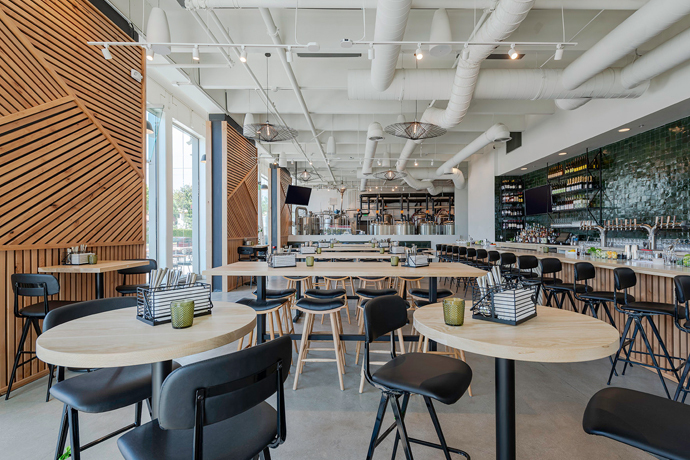 Introducing Malibu and Vine, a scenic indoor-outdoor wine bar newly built on the grounds of Malibu Golf Club, now discreetly open Thursdays through Sundays. Think of the last time you spent an afternoon at your producer friend’s funky Malibu backyard with a couple bottles of red—then sub out all of your pals for a date who’s in the mood for a little road trip. Now you’re picturing something like this place. Under a covered porch outside, you’ll find a rustic bar built from stones, mortar and wine bottles—the bottles have become chandeliers. They’re pushing wines from two area vineyards here (Saddlerock and Semler), and you can try all the different varietals by taste, glass or bottle. You’ll see hills. You’ll see wine barrels. You’ll see a few of the 18 nearby holes. And if you stay long enough to catch the sunset and start feeling a bit peckish, just head inside to the adjacent steakhouse for some Summer Corn, Clam & Crab Chowder or a 12-ounce boneless rib eye. Go ahead, wear your green blazer.